Do you want cool projects focused on online sports betting and gaming? Would you like to work on highly reliable systems with low latency, much like the transactional systems of the best financial institutions, but… with fun included? Would you like to work with some of the best Developers, QAs, DevOps Engineers and Project Managers in Cracow? Working with us you’ll be at heart of the technological revolution of one the world’s most trusted betting and gaming companies. We deal with projects ranging from widgets, desktop or mobile casinos and betting sites… just to name a few. We process 500 online Sportsbook bets per second each Saturday, that’s the same as orders processed by Amazon UK, on its busiest day of the year. We deal with more than 20 million users and 160 terabytes of data daily. Impressed? You can be sure there are many more challenges waiting for you. Working with us you'll be at heart of the technological revolution of one the world's most trusted betting and gaming companies. We deal with projects ranging from desktop or mobile casinos and betting sites… just to name a few. We process 500 online Sportsbook bets per second each Saturday, that's the same as orders processed by Amazon UK, on its busiest day of the year. We deal with more than 20 million users daily. Impressed? You can be sure there are many more challenges waiting for you. Our Data Management team is nothing if not ambitious. We pride ourselves on delivering operational and analytical solutions ranging from traditional batch data warehousing to low latency applications. As a DevOps Big Data engineer in Krakow, you'll be working on continuous integration and continuous deployment. You'll be writing build/test/deploy pipelines, measuring performance and working with developers to improve it. You will take care of administration of web servers, load balancing, network and Linux virtual machines, about containerisation / packaging, distributed component integration/troubleshooting (Docker), log aggregation, monitoring, and troubleshooting. You will be working in private cloud environment as well as with AWS and Google Cloud. You'll need to support out of hours on a rota basis, when you're up to speed and confident in your role. Development opportunities, including IT conferences, internal training, lunch and learn sessions and an individual development budget. Complex work and the chance to make an impact. Some opportunities for International travel to our offices in London, Leeds and Gibraltar (our office is 5 minutes away from the beach). A great working atmosphere in a collaborative team of amazing people, with forward thinking managers. Competitive salary and benefits fully paid private health-care, multisport pass, daily fruit, and employee referral program. 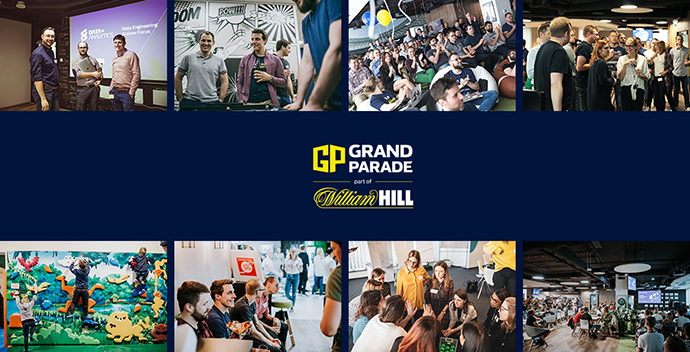 And some fun in the office - integration events and company parties, internal football league, gamification initiatives, FIFA, board games, company competitions with cool prizes. Mac OS or Windows hardware to choose from. Some opportunities for International travel to our offices in London, Leeds, Stockholm, Malta and Gibraltar (our office is 5 minutes away from the beach). New modern, bright and comfortable office space, with a great working atmosphere, in a collaborative team of amazing people, with forward thinking managers. Competitive base salary and benefits, with fully paid private healthcare (Enel-Med), fully paid Multisport pass, employee referral program, and an extra day off for your birthday. Garden roof terrace, with incredible views of the city, and fresh fruit in the office. Well stocked kitchens with fruit tea, honey and lemon, foamy coffee machine, vending machine with healthy food and salad. Chill out room and gaming room with VR, PS4, FIFA, foosball table, billiards, table tennis, football league, board games, competitions with cool prizes. Meetups, quality questions events, hackathons, we love any chance to share knowledge and have fun. We don’t like our colleagues to go hungry or thirsty, so events are always well catered. Family fun days, charity events (ask us about our scooter racing), company parties and social activities. Excellent city centre location with a tram stop right outside the office, and free parking spaces cars, motorcycles and bikes. Relocation costs support for rent and travel, and VISA support. Colleagues from all round the world including Russia, Ukraine, Belarus, Estonia, Brazil, Romania, Ireland, Israel, India, Portugal, United Kingdom, and Libya. Our office sits on Kotlarska and our brilliant building has a range of different workspaces, hangouts and breakout areas to suit your every need. Situated in the centre of KraKow next to Vistula river – we're in the heart of one of the world’s most iconic cities.There are parks everywhere, you can enjoy a walk along Planty, or go to Kościuszko Mound to admire the city from above. With plenty of culture on your doorstep, you’ll be spoilt for choice. In fact, why not have a sneak peek around our office with Street View and see if you can picture yourself here.